TODAY´S HIGHLIGHTS: Admire the fantastic landscapes. Cable car included to Grindelwald first. Lunch included. Today´s stage has beautiful landscapes with high mountains and lakes. Breathtaking scenery. GRINDELWALD where we will have time for a coffee before taking the cable car (ticket included) up to Grindelwald first. We will walk along the path (30 minutes) in which we shall be able to take the "footbridge over the empty" among the fantastic scenery enjoying glaciers around us. Lunch included (vegetarian option available). After that we continue through the region of Interlaken to LUCERNE, one of the most beautiful cities in Switzerland. Time at the end of the day to stroll, enjoy the city and dine before returning to the hotel in Zurich. TODAY’S HIGHLIGHTS: Explore Bern, the capital city of Switzerland. 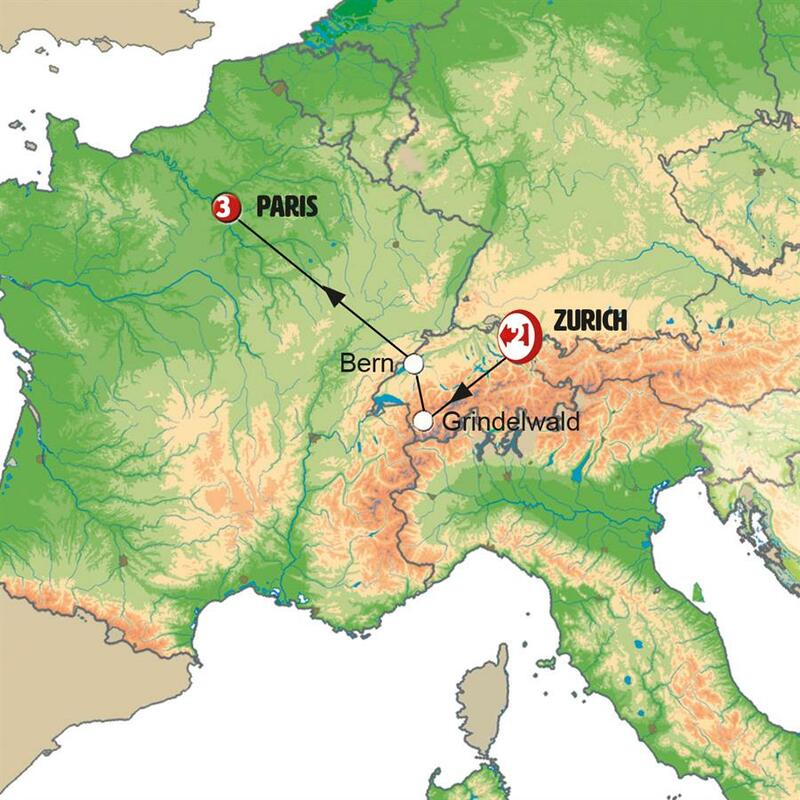 Dinner included.Embark on a scenic journey to BERN, capital city of the confederation built around a bend in the Aare River, with its medieval architecture preserved in the Old Town. Time to take a stroll and breathe in the fresh air. Next, we journey to France. Enjoy beautiful lake views on our trip to Paris. We arrive in the evening. Indian dinner included. TODAY’S HIGHLIGHTS: City tour in Paris. Boat ride along the Seine. Climb to the second floor of the Eiffel Tower. Evening transfer. Indian Dinner included. A scenic guided tour to discover the history, main boulevards and the breathtaking monuments of Paris. We end the visit at the Eiffel Tower area. You will have the opportunity to climb up to the second floor of this remarkable metal monument (ticket included). End your visit with a boat cruise along the River Seine, which divides the north of Paris from the south. Enjoy a free afternoon to explore as you choose. Note: Sometimes queues to climb the Eiffel Tower are long. For organizational reasons, if deemed appropriate, the climb can be made at a different moment of the day (or Monday). At sunset enjoy indian dinner in the city of lights. Return to hotel. TODAY’S HIGHLIGHTS: Free time in the City of Lights. Indian dinner included. 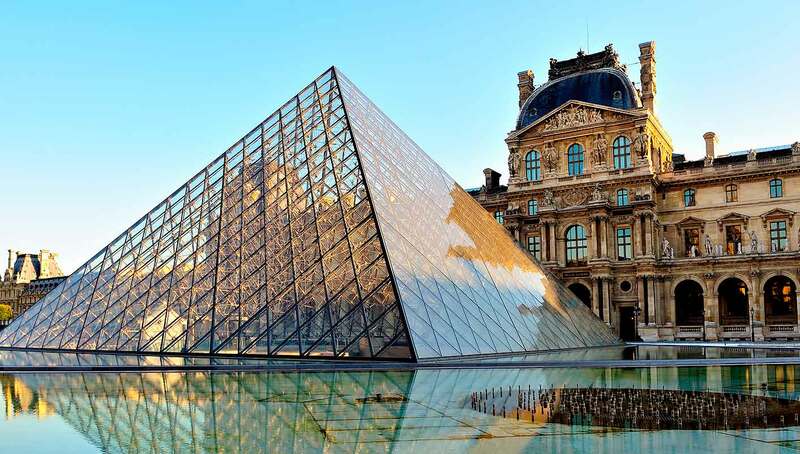 We go to the centre of Paris, to the area of the Louvre Museum. Free time. If you wish we can accompany you to Benlux, one of the most complete and best-known perfumeries in Paris. It will be offered for travelers who are interested, an optional excursion to enjoy in EURODISNEY.Rest of the day free. Indian dinner included.